California startup Vectolabs has developed a new type of safety light for motorcycles that illuminates when the bike slows down, regardless of whether or not the rider is using the brakes. 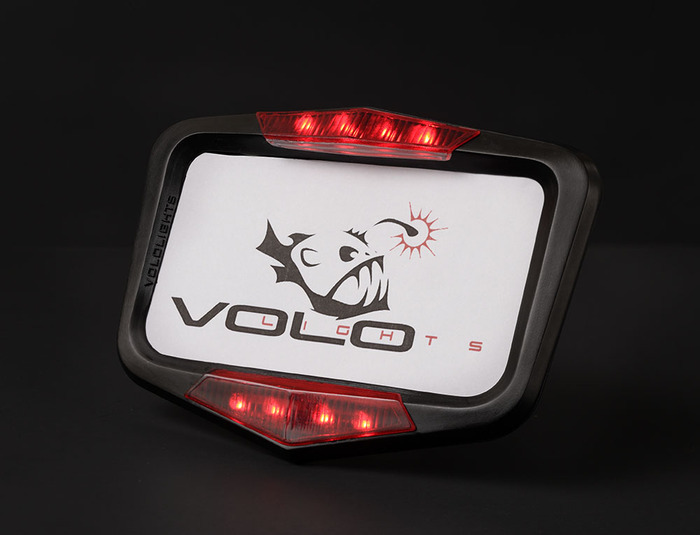 Vololights is a powered license plate frame with it's own set of bright LED's. Using embedded intelligence, it measures the deceleration of your motorcycle regardless of how you are slowing down. Deceleration is also perceptible to the driver behind you. While there are current systems available, Vectolabs claims they have these two major deficiencies. 1) Current systems are tied to the foot and handbrake signal only. They do not account for slowing from engine braking and downshifting. Vololights overcomes this by physically measuring any type of deceleration. Comprised of two sets of LEDs built into a license plate holder that’s fitted with an accelerometer and CPU the Vololights, when the motorcycle starts slowing down, a pattern of blinking lights goes off to get the attention of following vehicles. Since most motorcycle organizations and state departments of motor vehicles already encourage riders to flash their brakes when slowing, this device will accommodate this process. Vectolabs is currently working to raise money via Kickstart to get Vololights produced. Motorcyclists interested in this device can donate now. First time iv heardof this. Gr8 bit of tech! !